ARAMBH HEART & MEDICAL HOSPITAL is Best Hospital in 202, Arambh Complex, Near Ankur Bus Stand, Naranpura, Ahmedabad - 13. You can find ARAMBH HEART & MEDICAL HOSPITAL Contact no/phone number, ARAMBH HEART & MEDICAL HOSPITAL Book Online Appointment, Ask Question, Find & write Reviews, Hospital Opening and Closing time, ARAMBH HEART & MEDICAL HOSPITAL Fees, ARAMBH HEART & MEDICAL HOSPITAL Features, ARAMBH HEART & MEDICAL HOSPITAL Doctor list on www.365doctor.in. 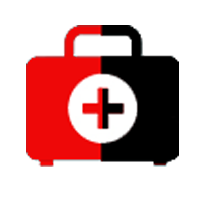 Tags ARAMBH HEART & MEDICAL HOSPITAL, ARAMBH HEART & MEDICAL HOSPITAL reviews, ARAMBH HEART & MEDICAL HOSPITAL Contact no, ARAMBH HEART & MEDICAL HOSPITAL Appointment, ARAMBH HEART & MEDICAL HOSPITAL Doctors, ARAMBH HEART & MEDICAL HOSPITAL Address.